Get Your Best Annuity Quotes Instantly Online! Be your own annuity expert. Your phone number is not required. No agent will call you. Your privacy is guaranteed. Are you searching for the best annuity online? We make it easy for you to find the annuity that pays you the most income. In less than 3 minutes, you’ll see instant annuity quotes from top-rated brands on your screen. 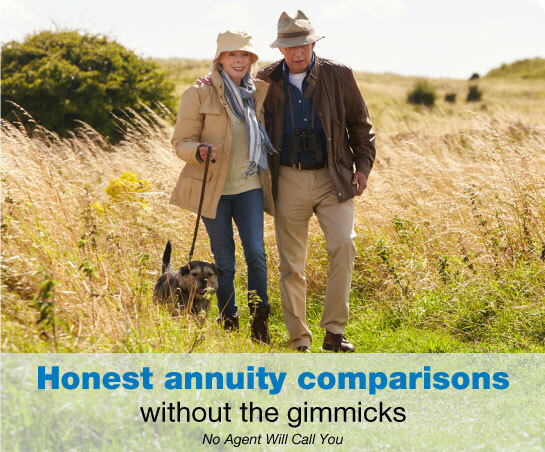 We do the work for you by comparing annuities from more than 150 insurance company websites including New York Life, MetLife, Mass Mutual, Nationwide, Pacific Life, Principal, and many others. To view your personalized quotes just enter your age, when you want to start receiving income, how much you’d like to invest, and click to go to Step 2 of 3. Maximize the safety of your annuity by learning which companies have the highest ratings. Looking for additional annuity options? A Deferred Annuity is a single-premium annuity which grows at a fixed rate for a predetermined amount of time, very similar to CDs. A Secondary Market Annuity (SMA) is an asset which makes a series of payments, or a lump sum payment, based on a predetermined schedule. A Fixed Indexed Annuity (FIA) grows based on the performance of a stock market index (e.g., S&P 500, Nasdaq, DJIA) with protections against loss. 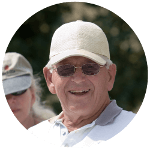 An immediate annuity was exactly what I needed to feel secure when I retired. The folks at ImmediateAnnuities.com didn't pressure me whatsoever when I called them. I would recommend them to anyone thinking about buying an annuity. Receive guaranteed income for life with an Immediate Annuity. Get income annuity quotes using the annuity calculator on this page or call (800) 872-6684 for quick answers to all your annuity questions!